B1747. Georges Montorgueil [Pseud. for Octave Lebesque]. 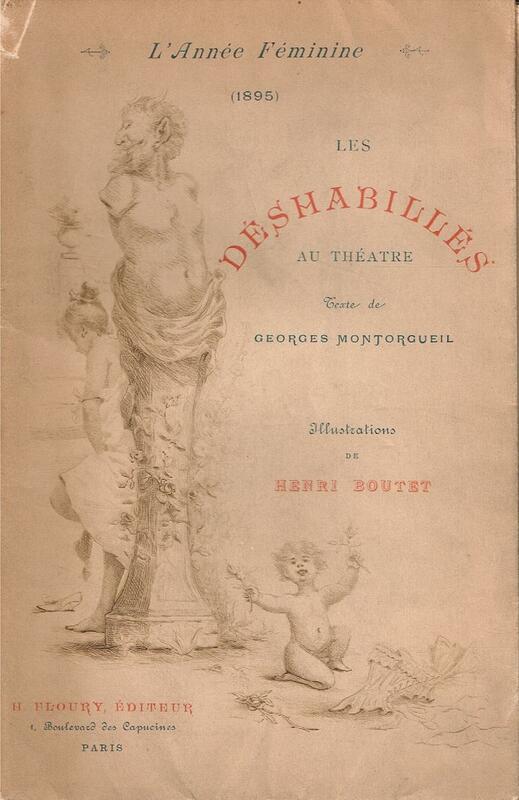 Les Déshabillés au Théâtre - L’Année Féminine. Illus. by Henri Boutet. Paris, H. Floury, 1986. 120pp. Covers & contents feature etchings in rust and white, with serpents, headbands and illustrious tailpieces. Immaculate copy with age-toned pages remains uncut. (French Text) (Pictorial thick paper covers) Exceedingly rare, especially in such outstanding condition! “Octave Lebesgue (5 November 1857, Paris – 24 April 1933, Paris) was a French journalist and writer. 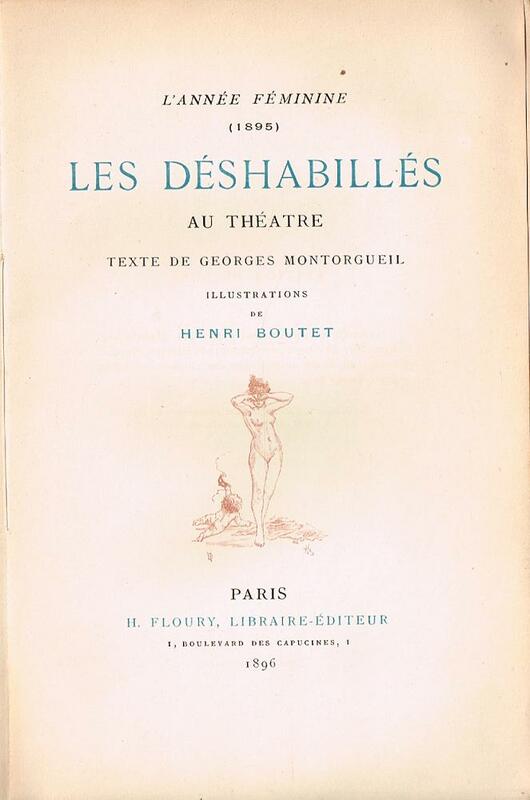 He is best known by the pseudonym Georges Montorgueil, though he also wrote as 'Jean Valjean' (after the protagonist of LES MISÉRABLES) and 'Caribert'. He also produced librettos for operas and musicals. “Henri Boutet was a French Belle Époque artist whose work focused on the genre ‘La Parisienne’. He candidly depicted women ranging from ordinary shop assistants to elegant ladies, managing to portray their common qualities of coquettishness and femininity. His success was in large measure due to his portraying of attractive young women using etching, drypoint and engraving. His prints were often in limited editions of 20. With the growth of his success, Boutet targeted a wider market by doing his own publishing and using the ‘eau-fort synthetique’ process, which resembled a more expensive etching technique. His talent for illustrating led to his producing graphics for magazines, menus and almanacs, items that are today eminently collectable.